It is our policy to provide equal employment opportunity to all qualified individuals without regard to their race, color, religion, national origin, age, gender, or disability in all personnel actions including recruitment, evaluation, selection, promotion, compensation, training and termination. Please join our team if you have our values, work ethic, commitment to continuous learning, and desire to do what's right for the patients, their families, and each other. You can make a difference and only those who have that drive need apply. We do all required reference and background checks. We want to make sure your definition of a "hospice heart" matches what we believe is needed to provide the best patient care. Ensuring each member of our team realizes, "it's about putting the patient first." We want only the best to be on our team and have many reasons for hiring only those with years of dedication to and success in hospice. Our patient's comfort, other needs, plus their trust in us are at stake when they need us like they may have never needed that in anyone before. In return for the best, we offer the most flexible hours, the best compensation, and the best atmosphere. "Part Timers" are welcome. We provide you with the best of whatever you need to care for your patients such as DME, Rx needs, office support, and all supplies. No on call work is required unless you desire it! Hourly positions are also available for other disciplines. 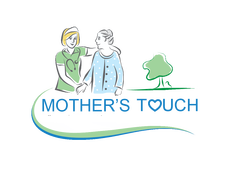 We are just starting this hospice, but you will be a part of a team that has years of success and experience in what we do. You will be a part of a locally-owned, Wichita-based employer that does what makes sense for our patients in the community. To sum it up: We're not too big, not too small, but just right for the area. If this all sounds like you and if you love hospice care, please consider joining our team for the benefit of all - - - Let's talk after filling out the below information. We are currently offering part-time RNs $75.00 per week per patient with 1 visit per week mandatory for the patient - subject to availability of patient(s). ​See the bottom of this page for details regarding LMSWs. Part time infusion nurses $100 per continuous infusion. Part-time APRNs receive $150 per face-to-face assessment/hospice appropriateness opinion/attestation and $100 for acute visits as done at the requested of management. We are currently offering part-time LMSWs $50.00 per monthly care to meet all patient needs with 1 visit per month mandatory for the patient - subject to availability of patient(s). Click here for a summarized position description and see the bottom of this page for details regarding RNs compensation and requirements. Mandatory attendance to IDT Meetings is included in your compensation for all positions. Street Number, direction (N, S, E, or W), Full street name, suite or other indicator, city, state and zip. Would you like to upload a document (Such as a resume)? In the compensation rate is mandatory attendance at Saturday morning team meetings every 2 weeks to do team plan of care coordination with the rest of the team for your patient(s). Included in the compensation rate is your mileage. However, you can take off on your year-end tax return this "un-reimbursed mileage" subject to IRS regulations. See TurboTax article Federal Tax Laws on Mileage Reimbursement for more information on that (We are not responsible for the content of the article and you are advised to consult your tax experts for the most accurate and up-to date information). Health Insurance is not provided. Flexible schedule is available for you. I.E. You may work evenings or weekends if the patient/family approve. RNs: One patient visit with full assessment per week is mandatory. For any patient of yours that has a need or acute condition that requires more visits, those are included in your compensation rate and must be done. Any needs other than visits determined and/or ordered for the patient are also included in the compensation rate. Examples of these include calling the office with questions, charting, collecting labs, calling the doctor to request an order, picking up supplies at the office, or anything else to take excellent care of all of the patient's needs. LMSWs: One patient visit with full assessment per month mandatory. For any patient of yours that has a need or acute condition that requires more visits, those are included in your compensation rate and must be done. Any needs other than visits determined and/or ordered for the patient are also included in the compensation rate. Examples of these include calling the office with questions, charting, community resource applications and implementation or anything else to take excellent care of all of the patient's needs. If hired, orientation is at an hourly rate and can be done during the day, nights, and/or weekends per your needs. Working for another hospice or home health agency does not disqualify you from employment. Other requirements, at the discretion of management, may be implemented.